The witches are cackling, the jack-o-lanterns are glowing, and trick-or-treaters are getting ready for their favourite night of the year. That’s right, it’s Halloween season! That time of the year when all you want to think about is scary movies and sweet treats. But the beginning of the month also means waiting 31 whole days until your excuse to chow down on candy and pumpkin-flavoured everything. How will you survive?! 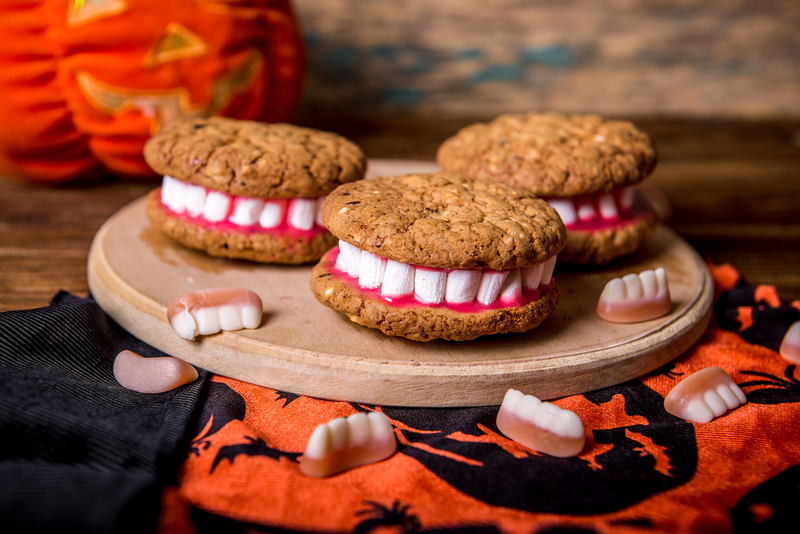 How about practising your cooking talent and try new spooky cookie recipes in advance? That sounds like the perfect excuse to fire up your Whirlpool range and make some tasty treats to us! What better way to get your Halloween spirit on than indulging your sweet tooth – or sweet fang? 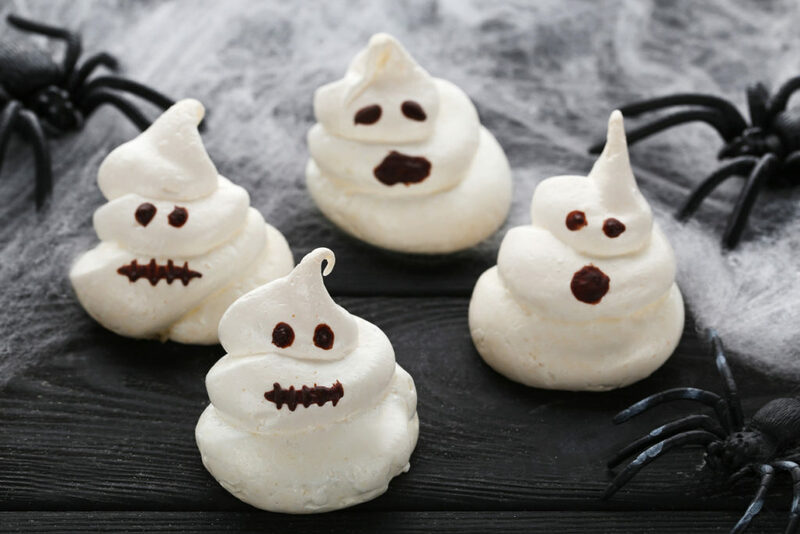 Try out a few of our favourite “scary” recipes, baked to perfection in one of our Whirlpool convection ranges, for an unforgettable Halloween! 1. Preheat your Whirlpool range to 200 degrees. As it heats up, separate out the whites of your eggs. You won’t be needing the yolks for this recipe! 2. Beat the egg whites and cream of tartar together by hand or with an electric mixer until frothy. Gradually add in sugar, continuing to beat until the mixture is stiff enough to hold its shape. 3. Prepare a cookie sheet lined with parchment paper and spoon the mixture into a decorating bag. Holding the bag upright, squeeze out the meringue onto the sheet. Press the tip of the bag into the meringue as you squeeze to give the ghosts their curvy shapes! 4. Bake for about an hour until the ghosts are firm and a little brown on the bottom. Turn off the oven but leave the cookies in the oven for another hour or two to crisp and cool. 5. Once the cookies are firm to the touch, use a toothpick and your black decorators gel to draw spooky faces on your ghostly friends. 1. Preheat your Whirlpool to 375 degrees and prepare two baking sheets with parchment paper. 2. Combine the first four ingredients together and beat until smooth. Add the egg, milk, and vanilla extract, continuing to beat the mixture. 3. Combine the other dry ingredients (flour, baking soda, and salt) in a small bowl and slowly add them to the wet mixture until it comes together into a dough. Separate the dough into 48 small balls. 4. Spread the remaining ¼ cup of sugar in a shallow bowl or tray and roll the dough balls through it, coating evenly. Place the dough balls on the baking sheet and bake for about 12 minutes, until golden brown. 5. Remove the cookies from the oven and quickly, before they start to cool, press a dimple into the middle of each cookie with a spoon or citrus reamer. Allow the cookies to cool for about 10 minutes before beginning to decorate. 6. If you are using chocolate truffles, cut the spheres in half (if you’re using Reese’s cups, you can skip this step). Place your candy into the dimple of the cookies with the rounded side facing up. Scoop some of your chocolate frosting into a pastry bag and squeeze a small amount onto the back of each candy eyeball, and stick two onto each chocolate candy. 7. 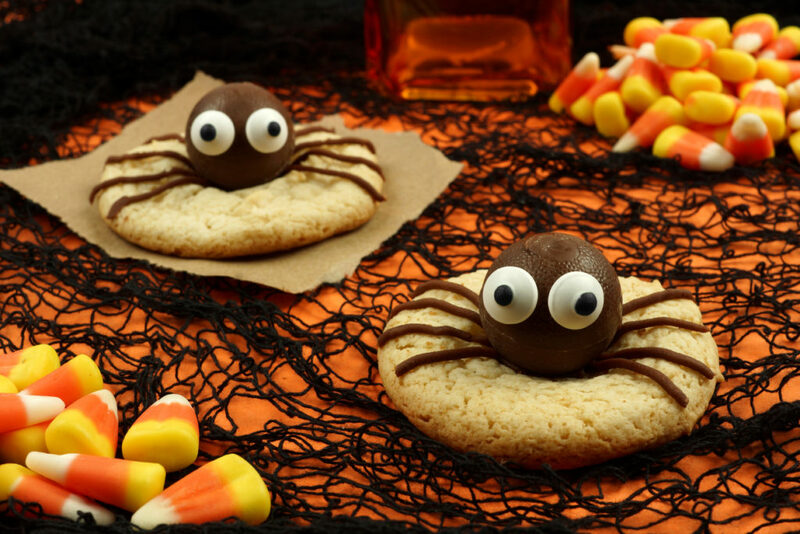 Use the pastry bag to pipe 8 thin legs onto each cookie, starting at the base of the candy, to make your spider’s legs. Allow about 30 minutes for the frosting to harden before eating. 1. Bake your cookie dough according to package directions. Be sure to place a layer of parchment paper between the cookie dough balls and the baking tray, so that they don’t stick. When the cookies are done, allow to cool completely. For a more authentic, denture-style look, cut the cookies in half. 2. While the cookies are baking and cooling, scoop some of your vanilla frosting into a bowl and stir in several drops of red food colouring. Mix until the frosting is smooth and a dark red to pink colour. 3. Spread a thin layer of frosting onto each cookie half. Place mini marshmallows along the round edges of your cookies (or around the whole thing if you haven’t cut your cookies in half) and add two almond slivers for fangs. With these delectable delights on hand, you’ll be ready to take on any ghouls and ghosts that come knocking at your door! And if you need a new oven or range to do justice to these yummy monsters, come down to [store name], and we’ll help you pick out the perfect appliance to make all your Halloween treats.